Lauren James is a store that sells women’s clothing and accessories. They sell collegiate wear, outerwear, holiday wear, bridesmaid dresses and more. Go Freebies is one of the more popular free giveaway sites, and it shares a lot of great information. However, you’ll have to do a free stickers search to get the list of available free stickers on the site. But it was worth the trouble when I did my search as it returned quite a few results. Their site posts links to freebies for pet items, health and beauty, and free food items. Also, they give coupons and information about giveaways as well. However, they do have a casual dress section that features nice button-down shirts. And they even offer button downs with a camo flair. In the “accessories” department they sell belts, hats, boxers and more. You’ll find cool stuff for your hunting and fishing friends and family. They’ve got restaurant locations in Arizona, California, Nevada, Oregon, Texas and Utah. You can stop at a store location and ask for free stickers. Or you can use their website contact page to request free stickers by mail. In the past, Rip Curl would send free stickers upon request. But the company no longer answers requests for free stickers. However, they do include a free sticker pack with every purchase. So if this is a company you would buy from, you can get free stickers simply by making a purchase. You can get a free Collared Greens sticker by following the instructions here. The site also shares how you can get free stuff for babies, beauty products, clothing, food samples and more. P.S. The site has all kinds of recipes featuring Moose Tracks ice cream. Beware of deliciousness! The feel of this site was really cool. The clothing was casual but nice. They had some dressier casual shirts for men as well, and some nicely designed leather accessories. For dogs, they had leashes, collars and beds. Teton Sports sells outdoor sports gear such as backpacks, tents and more. They even sell fun camping equipment such as inflatable camping pillows and hammocks too. You can get your free Teton Sports sticker by filling out this web page form. Pelican Coast Clothing Company sells clothing and accessories for men, women and kids. However, it seems like most of their offerings are for men. 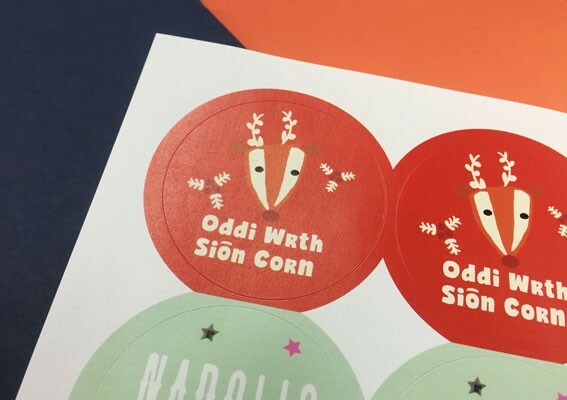 Are considering using your hand-made custom designs for making your stickers? If so, Sticker Mule will also send you a custom sample pack. It will have ten stickers with your design for $9 with free two-day shipping. Freebies.com didn’t have a specific category for free stickers either but had search results indicating they do share free sticker info on their site. They also share info on current sweepstakes happenings, share coupons and other great deals you might find of interest. 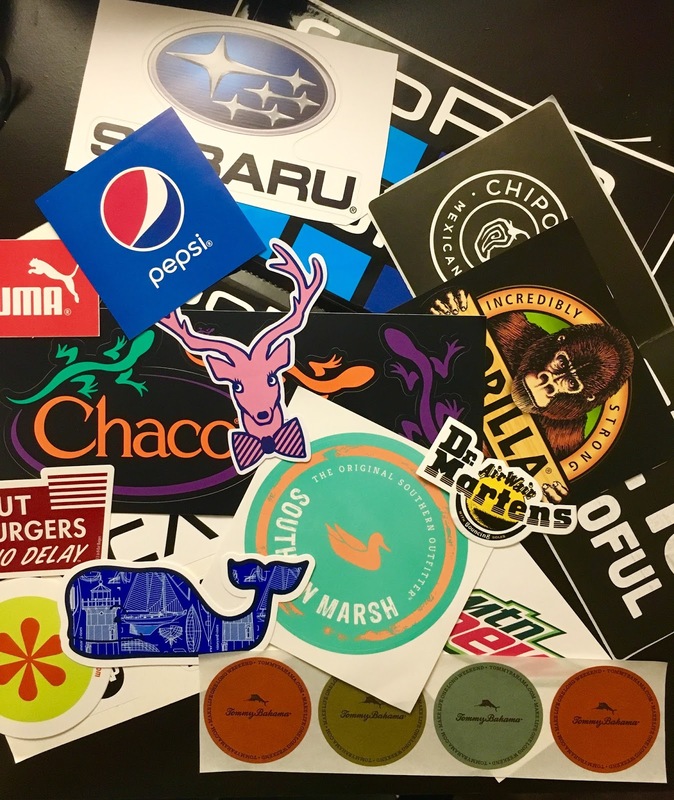 Brand-loyal shoppers might like free stickers to show how much they like a particular brand. 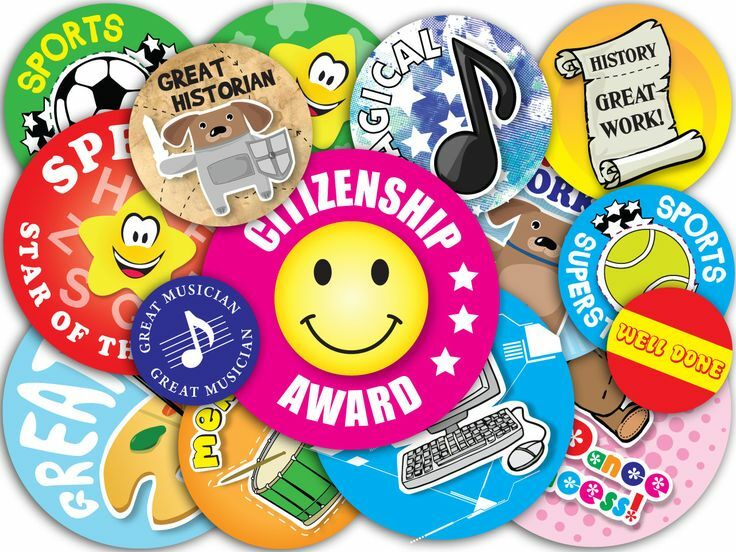 Parents and educators may want free stickers to reward kids for good behavior. Or to provide kids with an outlet for creative entertainment. VonZipper sells snow goggles, moto goggles, sunglasses and traditional eyeglasses. They have some fun and different designs. To get a free VonZipper sticker pack, visit the VonZipper website and fill out this form. If you go to their website, you can get free sticker samples of a design they choose. Or free blank sticker samples that you can print yourself from home. There is a LOT of information on this site for those of you who really love getting free stuff. Southern Marsh sells cool clothing for men, women and kids. They sell accessories such as hats, duffel bags, beach towels and scarves too. You can get your free Southern Marsh sticker by going here. 3000 Free Goodies isn’t the most attractive site you’ll find for getting free stickers, but it’s easy to use and has a lot of information on it. Here’s the link to their free sticker information. You can get free stickers from Osprey by going to their sticker request page. Whatever the case, there is usually very little work required on the part of the one who wants the stickers. Why would someone want free stickers, you might ask? Freezer Labels is a company that produces stickers and labels that have an adhesive that will hold up to the coldest of temperatures. Mobile Bay sells clothing and accessories with a nautical theme. They focus mostly on men’s clothing but do offer some women’s selections as well. In the men’s clothing area they offer button-down shirts, polo shirts, outerwear vests and accessories. Sperry sells super cool shoes, boots, clothing and accessories. They have items for men, women and kids. Sperry specializes in boat and duck shoes. Very cool designs here. Cotopaxi also sells activewear for outdoor type activities. In their online store, you’ll find jackets, t-shirts, tank tops, shorts and more. And they have a variety of outdoor gear items including backpacks and laptop cases. 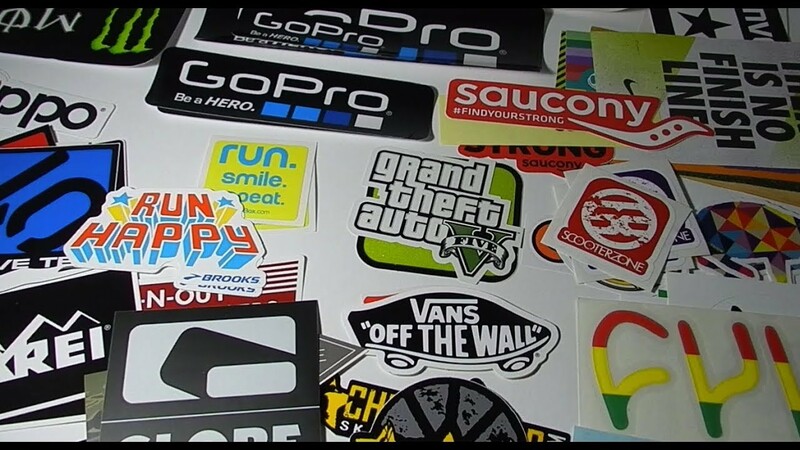 Each company has different requirements for obtaining free stickers. Some may merely require you send an email and ask them. Others might request you send a self-addressed stamped envelope with a specific amount of postage attached. Patagonia is a store that specializes in outdoor and activewear clothing and gear. They sell everything from wetsuits to snow and ski apparel to board shorts. Why is it that the sports apparel companies are so great about sending out free stickers to people? Southern Lure has a really cool sticker logo that they send out upon request. If you like to eat organic, you may have heard of Annie’s. Annie’s specializes in making organic processed foods that are quite delicious. Note that you’ll have to send them a self-addressed stamped envelope. P.S. You’ll get a 20% off coupon if you sign up for their email list. Mr. Free Stuff is a freebies website that shares information on how to get free samples. 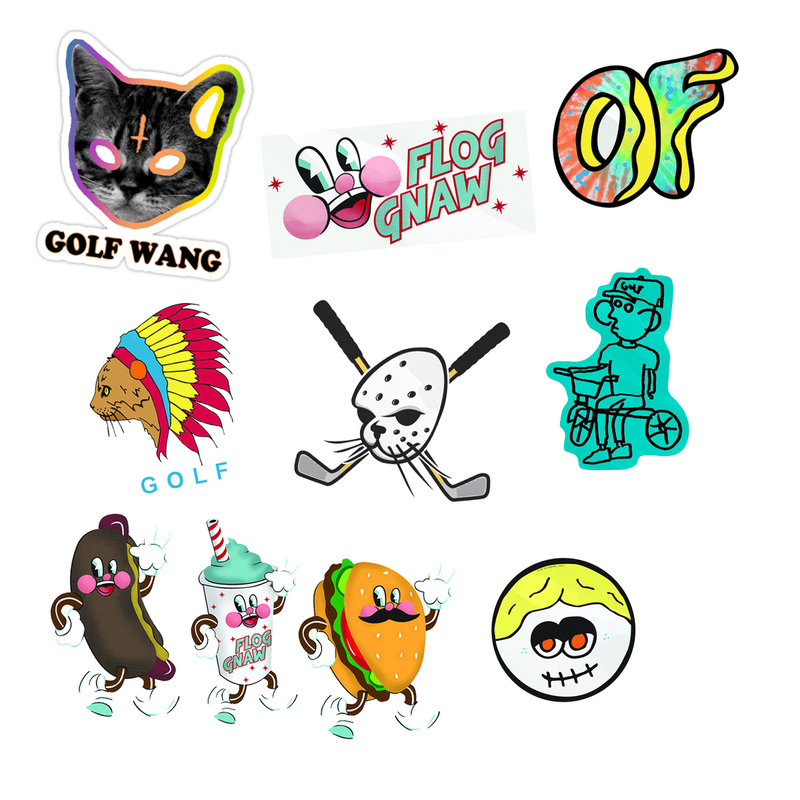 Although they don’t have a clear tab on their categories bar for free stickers, I did find some free stickers when I searched the site. Here’s the link to request the free PETA Kids magazine with stickers. Coast sells cool apparel such as deck shorts, angler shorts and hoodies. They have an accessory line as well. You can get your Coast stickers by following the instructions here. There’s an abundance of other freebie information on this site about a host of categories such as health and beauty, household products, books, magazines, pet products, birthday freebies and more. The Chicago White Sox is another MLB team that will send you free stickers for the asking. Just email them at [email protected] Hint: You might be able to get free stickers from other MLB teams by emailing them as well. To get your free Haley and the Hound sticker, click on this link. They give away one FREE roll of stickers with every order. So if you’re buying something anyway, this could be a great way for you to get free stickers. They sell hiking backpacks, travel bags, snowboarding and skiing backpacks, duffel bags, child carriers and more. Have fun getting your free stickers, and sharing them with others as well! 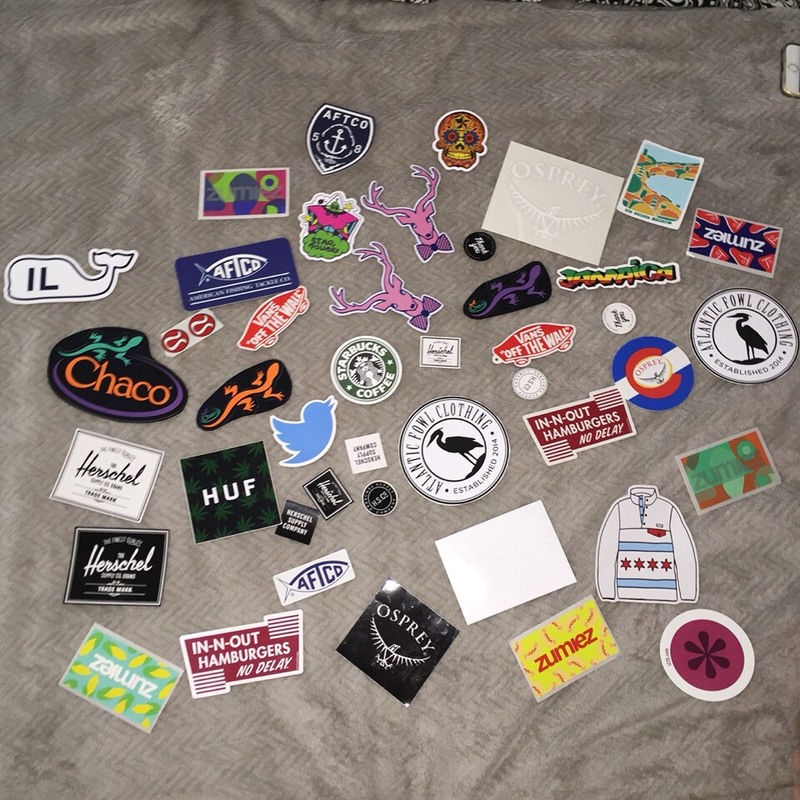 Do you ever send away for free stickers? Do you know of any companies not mentioned here that give them away? Share your thoughts on our Facebook page. Sweet Free Stuff is a freebie site that shares links to companies willing to send free stickers. They also share the scoop on freebies such as free samples, free baby stuff, free books, free birthday things and more. Just Free Stuff has an attractive website that’s easy to use. All of the freebie categories, including the free sticker category, are listed on the left sidebar, making your favorite freebies easy to find. This is a good reminder that although a site might not blatantly advertise that they directly give away free stickers or that they share information about other companies that give away stickers, it never hurts to do a search to find out. This comprehensive and easy-to-use freebie site shares offers for free pet items, health and beauty products, home and garden items, electronics, free food samples and more. 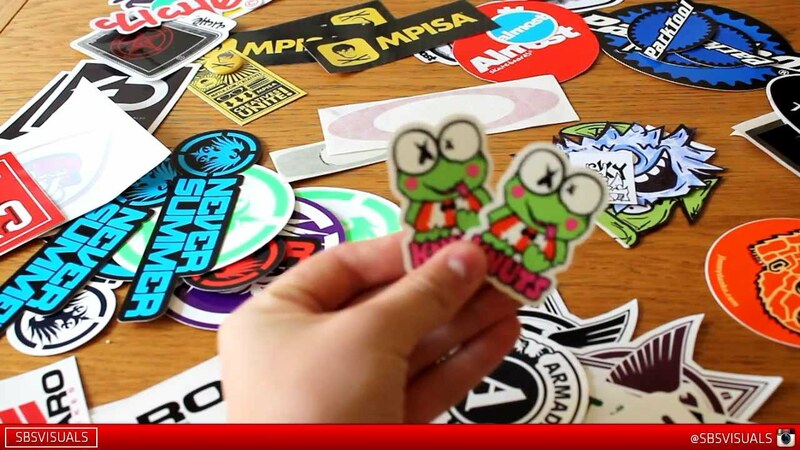 Just go to the Sticker You About Page and fill out the form to get your free stickers. Fish Hippie is another company that will send a free sticker upon request. They have a cool logo too. So that means a cool free sticker. It sounds like they send a variety of different types of stickers. They might send skate stickers, bumper stickers, locker or bedroom stickers. Marker-Volkl sells skis and coordinating accessories. You can get a free Marker-Volkl sticker by sending a self-addressed, stamped envelope to the following address. The stickers provided two-fold benefits for our family. First, they would entertain her for hours on end as she covered her dad’s face with them. Second, I’ve got blackmail pictures to use against my hubby on those occasions when he’s not keeping up on his honey-do list. Two of their big sellers are the Annie’s Mac and Cheese and their Cheddar Bunnies (similar to Goldfish). We used to buy Annie’s a lot as a healthy alternative to more common similar items. The Lucky Knot sells nautical-themed sportswear for men and women. They sell accessories such as bags, jewelry, cuff links and ties too. If you want free Lucky Knot stickers, just fill out this Lucky Knot web page form. The Cotopaxi logo is a llama, and they will send you a free llama sticker upon request. Just follow this link to the Cotopaxi website. Do you remember Heelys? The tennis shoes with skate wheels on the bottom? I totally wanted a pair of those when I was a kid young adult. You can buy your own. And if you want, you can fill out the Heelys contact form, and they’ll send you free skate stickers. The non-profit PETA organization (People for the Ethical Treatment of Animals) has a sub-organization called PETA Kids. PETA Kids focuses on sharing information on protecting animals in a kid-friendly way. They will send kids a free magazine entitled The Kids’ Guide to Helping Animals. Bonus: they also sell cool-looking dog collars. In fact, when I checked their dog collar page most of the collars had a “sold out” sign. So they must be pretty popular. Burton makes snowboards and snowboard accessories. Also, they sell clothing apparel and luggage such as backpacks. They’ll send you free stickers if you send them a self-addressed stamped envelope. They have different addresses for U.S. and Canada residents. Keds sells women’s and kids shoes. I still love buying Keds’ shiny white walking sneakers to this day. However, these days they don’t just have the white sneakers. They have all sorts of cool designs and colors. If you visit this Keds web page, they’ll send you free Keds stickers. If you ask via their contact form, Moosejaw will send you free stickers. I’m not sure what they look like, but the contact form quote says “My favorite is the Mother’s Day sticker.” That could be interesting. Billabong is a clothing and accessory company that specializes in surfing and beachwear. They sell items such as t-shirts, tank tops and board shorts (long shorts that are often worn for surfing — yes, I had to look that up on Wikipedia). Don’t judge. I’m from Minnesota. AFTCO is a family-owned company committed to selling quality performance sportswear. They have clothing and sports gear for kids, men and women. The clothing and accessories are fashionable. Yo! Free Samples is a freebie site I hadn’t heard of before, but they’ve got lots of great information. Along with a free sticker section, Yo! Free Samples shares information on wedding freebies, entertainment freebies, household samples, health samples, free food, free clothes and more. Some of the categories this site had that I didn’t see on many other freebie sites included free printables, free postcards, free games and free software items. Jadelynn Brooke is a clothing store owned by three sisters. The girls offer cute, “happy” clothing and accessories for girls and young women. They sell shoes, hats and other accessories as well. Chaco’s is a name-brand store that sells fashionable outdoor sandals and flip-flops. If you like to summer hike fashionably, you’ll find some cool stuff for sale on their website. Southern Cross Apparel sells really attractive casual and sports clothing. I could see myself spending serious amounts of cash on their t-shirts, hats and sweatshirts. 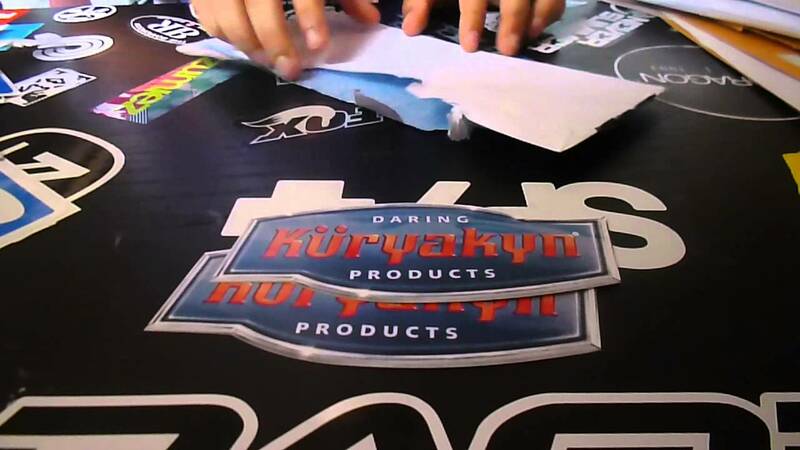 Sticker Mule is a site that manufactures stickers for businesses and individuals. 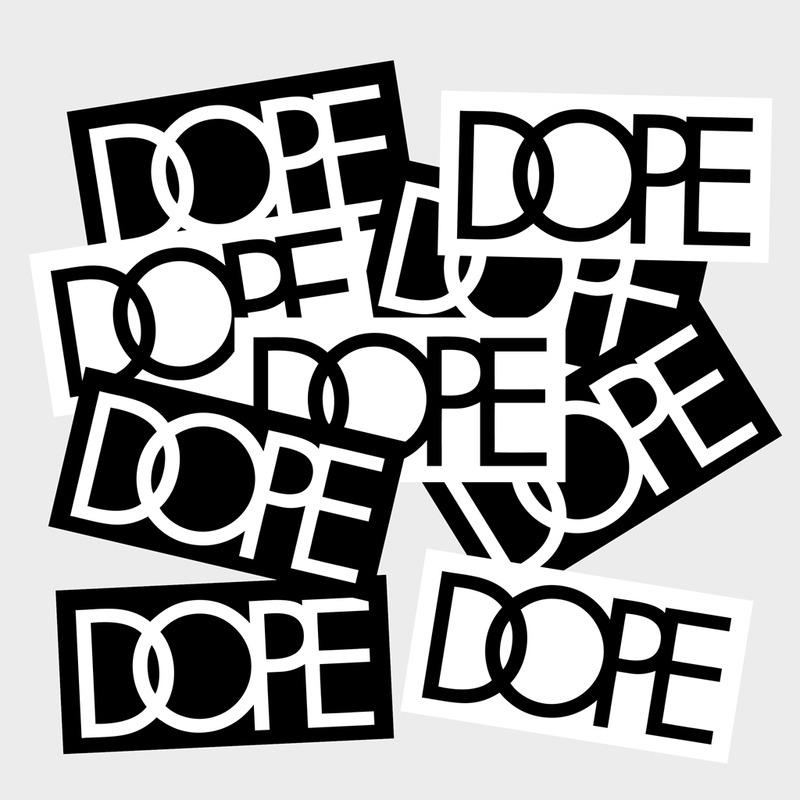 They will occasionally offer free sticker packs on the site. However, they always send out sample packs of 9 stickers for $1. Free Stuff Finder was one of those sites that had some links to free sticker giveaways that I hadn’t seen on many other sites. Note that you can only get five stickers at a time from them. Also, their stickers sell out fast. You may have to wait to get some designs. Go here to get free Vinyl Disorder stickers. 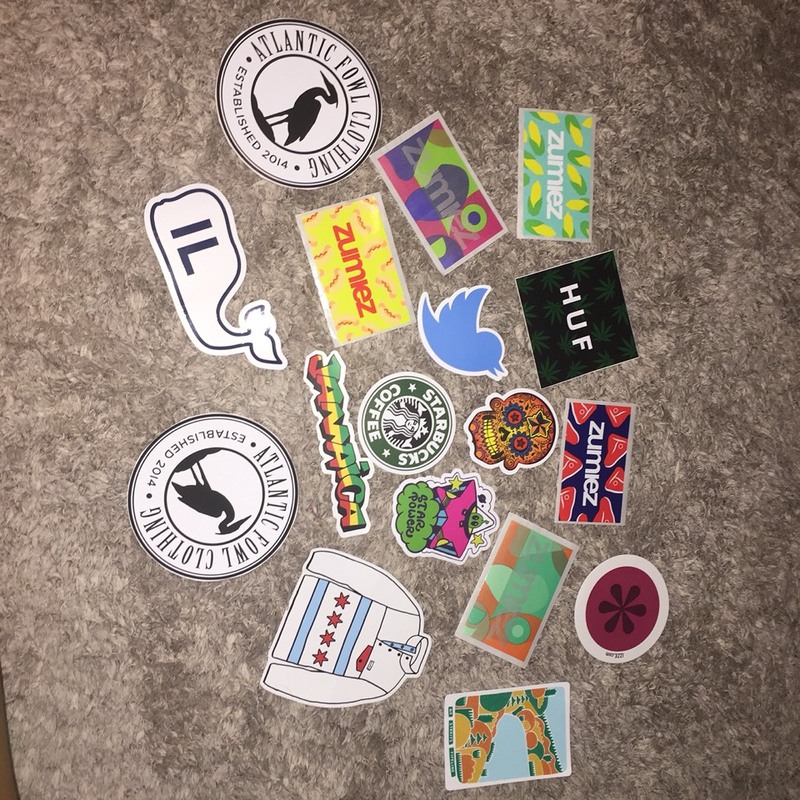 Brands You Can Request Free Stickers From1. Billabong2. Annie’s3. PETA Kids4. RVCA5. In-N-Out Burger6. Patagonia7. Cotopaxi8. Southern Cross Apparel9. Moosejaw10. Southern Lure11. Medi-Badge12. Dakine13. Rip Curl14. Chaco15. Zumiez16. Sticker You17. Hook and Tackle18. Fish Hippie19. Osprey20. Lauren James21. Punisher Skateboards22. Freezer Labels23. Sticker Mule24. Jadelynn Brooke25. Pelican Coast Clothing Company26. Heybo Outdoors27. Mobile Bay28. Haley and the Hound29. Over Under30. American Fish and Tackle Company (AFTCO)31. Backcountry32. Vinyl Disorder33. Burton Snowboards34. Southern Marsh35. Sperry36. Coast37. Rome Snowboards38. Moose Tracks39. Collared Greens40. Salomon41. The Lucky Knot42. VonZipper42. Keds43.Smith & Wesson44. Race Tech45. Heelys46. Marker-Volkl47. Teton Sports48. Houston Astros49. Chicago White Sox50. Boreal Mountain Ski ResortSites that Will Keep You Updated on Free Sticker OffersSweet Free StuffI Crave FreebiesVonBeau.comYo! Free SamplesSeriously Free StuffFree Stuff TimesMr. Free StuffFreebies.comI Love Free ThingsFreebies. Collared Greens (isn’t that the coolest name?) sells elite performance menswear. They sell polo shirts, bow ties, cummerbund sets and more. (Note: they have a super cool camo cummerbund set). To get your free Jadelynn Brooke “Happy” sticker, click on this link to go to the free sticker form. Rip Curl sells sports apparel as well as casual everyday wear apparel. They even sell surf watches and snow accessories such as gloves and hats. In searching their website, they sell a wide variety of casual clothing as well as sports/action wear. I probably don’t have to tell you that Punisher Skateboards sells skateboards. They sell helmets and other gear as well. However, know that the sticker requests are limited to one request every four months per person. Seriously Free Stuff is a pretty popular freebie site that shares info on free stickers among other things. FYI, I found a lot of free sticker info on this site that wasn’t common on many of the other sites I checked. Hats, visors, swimwear and koozies round out the accessories selection. For women, they sell a small, albeit cute, selection of t-shirts. To get your free Mobile Bay sticker, click on this link. The company will send you free stickers upon request if you visit the Hook and Tackle free sticker page. I found a few different websites that said that In-N-Out Burger would give free stickers for those who ask. In-N-Out Burger is an iconic fast food chain that’s been around since 1948. Their clothes and accessories have kind of a cool, preppy look to them. They sell everything from t-shirts, ties and swim trunks for men to dresses and blouses for women. Moose Tracks is a popular ice cream flavor. It’s so popular that Denali Flavors created a Moose Tracks website. You can get your free Moose Tracks sticker or magnet by filling out this form. They also sell a host of sporting accessories including coolers, handbags, totes, and travel kits. There are many items to choose from if you’re into snowboarding, surfing, biking or similar sports. Totally Free Stuff is one of the longest standing freebie sites, started in 1998. When I searched for “free stickers” on the site, it populated a list of available free stickers. I was pleasantly surprised by the number of styles they sold and the tasteful designs. So if you like RVCA clothing, you can get brand name stickers from RVCA for free by going here. When my oldest daughter was little, we spent a lot of cash on stickers. For some odd reason, she liked plastering them all over her dad’s face while he sat watching TV. Heybo Outdoors sells mostly fishing and outdoor gear for men, women and youth. The majority of their clothing has a hunting/fishing theme to it. For instance, they sell camo jackets and shirts. To get your free Heybo sticker, click on this link. Bonus: at the time of this writing they had a deal where they’d give you 10% off your first order if you signed up for their mailing list. This could be a good company to contact if you want some freebie stickers (or cheap) just for fun. Or if you wish to play around with designing your own stickers. They also sell accessories such as journals and planners, blankets and drinkware. 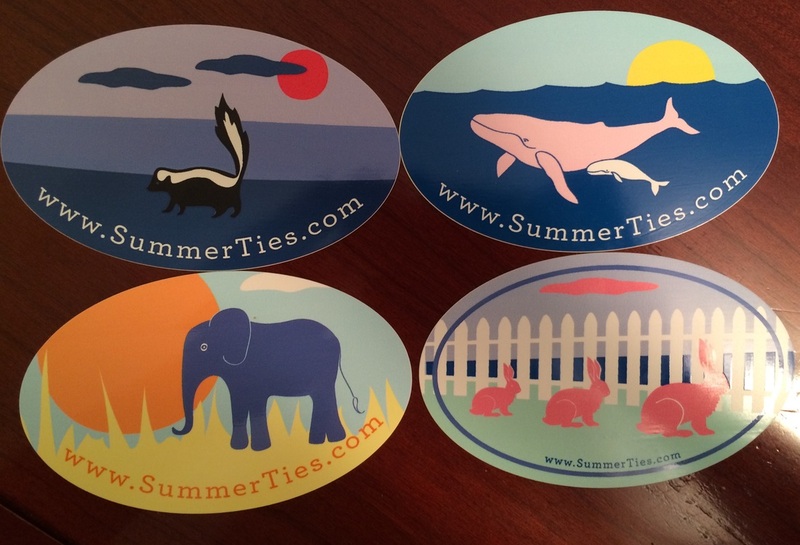 For your free Lauren James sticker, go to their website. Along with the sites mentioned above that send out free stickers directly from their companies, several freebie sites post new free sticker offerings whenever they come out. I’ll share a few of them here. It felt good knowing I could give my kids the snacks they wanted without all of the chemicals, etc. Here’s a link to send for one of several Annie’s stickers. I’m guessing it has a lot to do with promoting their businesses. But either way, the result is free stickers. Anyone willing to contact companies and ask for them can get them. The website also says that the sticker packs change each season. They imply that customers are welcome to send multiple requests for free stickers. Go to the Burton free sticker page for addresses and instructions. The company sells other types of hiking gear and accessories too. For instance, they sell hats, socks, belts and bags. And they even have a dog gear section. Vinyl Disorder makes custom stickers, banners, wraps and more. They make business decals and other vinyl creations too. This company has two dozen free stickers they’ll send you. Just add them into your cart when you place an order. Backcountry is a clothing site that specializes in outdoor sportswear. They have hiking, biking, skiing, running and other sports apparel and accessories. If you mail in a request, they’ll send you a free sticker with a Backcountry logo. 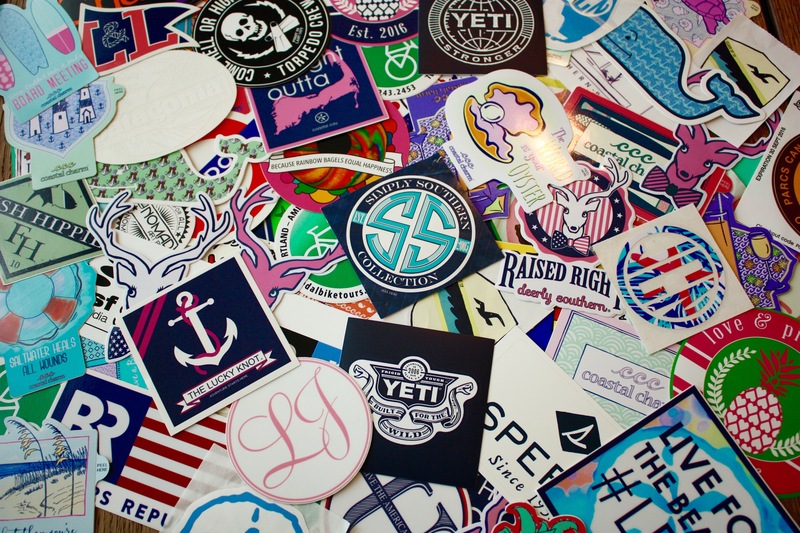 You can get your free Sperry sticker pack by filling out this form. Stickers are fun to get for both kids and adults alike, especially if they’re free. 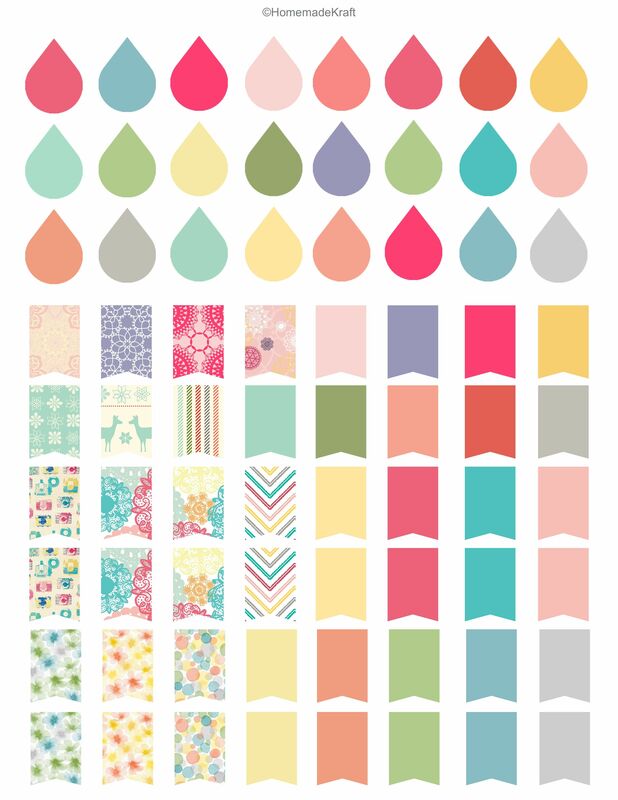 So if you like stickers, this list will help you make sure you get dozens of them. And most are accessible by simply sending an email or letter request. They sell polo shirts and some accessories too. To get a free sticker from Southern Cross, simply fill out their contact form. Free Stuff Times is another popular freebie site that has a free sticker category. You’ll also find information there about contests, giveaways, coupons and hot deals. And a host of freebies including free samples in the areas of baby items, food samples, beauty samples, eBooks, magazines and more. The logo is cool – it’s a goat. Get your Backcountry stick by visiting this Backcountry web page. Next, I’ll talk about sites that will help you stay abreast of companies that are giving away free stickers. 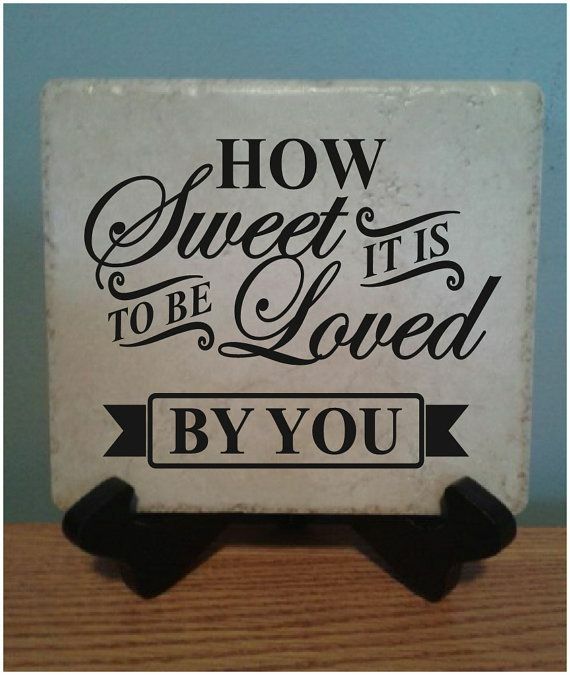 The I Love Free Things site shares quite a bit of information about free giveaways. They do have a separate category on their home page that shares about companies giving away free stickers, and I’ve linked to that at the beginning of the paragraph. Join Our Newsletter Get more content like this delivered to your email. Zumiez sells a wide variety of fashion apparel. In addition, they sell sports equipment including skateboards, snowboards, snowboarding boots, jewelry, accessories and more. Sticker You is a company that sells stickers, decals and other items. 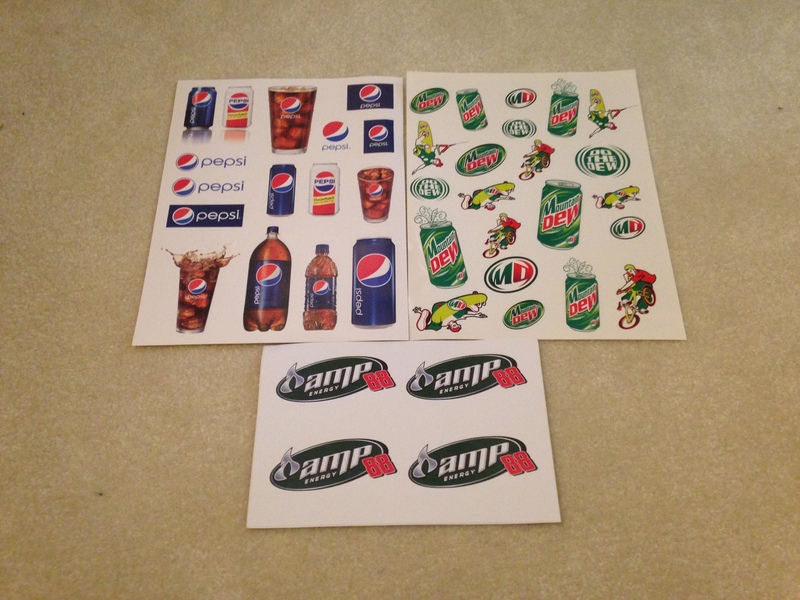 Upon request, the company says they’ll send you free sticker samples along with a catalog if you’d like. VonBeau.com seems to deal with sharing info about how to get free stickers and other free stuff as well. Categories on their site include free samples in the areas of men’s, women’s and kid’s products, magazines, health, food and pet merchandise. The site also features a savings blog, contest and giveaway information and Amazon promo codes. You might be surprised to learn that all kinds of companies send free stickers to kids and adults. Also, the company has an expansive list of items you can buy if you like outdoor sports. And they’ll hook you up if you just like to wear nice looking outdoor sports type clothing. Along with free sticker info, the site shares links to free: health stuff, food samples, beauty samples and home goods. And they share links to sweepstakes information as well. Moosejaw sells clothing apparel, footwear, hiking and camping gear and more. They sell climbing equipment and snow activity equipment and apparel too. Most everything offered on the site was made in the U.S.A. To get your free Over Under sticker, click on this link. The shop features cute accessories and stationery as well. You’ll find necklaces, handbags, caps and more. The store also carries a selection of Mommy & Me outfits. I like the Mommy & Me stuff because it doesn’t match exactly, but is cute and complimentary instead. Freebies.org is like most other freebie site links I’ve shared here. I did have to search to find the “free stickers” category. If you like outdoor activities, you may have heard of Osprey. Osprey is one of the more well-known retailers of backpacks and travel bags for a variety of activities. And if you’re interested in shopping there, they sell some great casual style hats. They also sell t-shirts, polo shirts, swim shorts (for guys) and more. 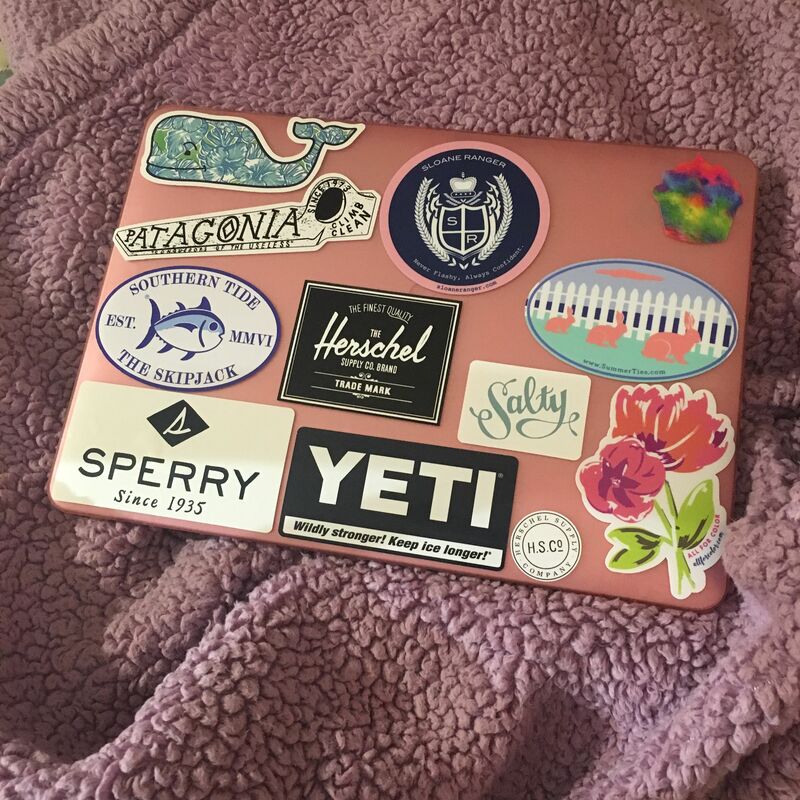 Tip: Want a specific sticker but don’t have the money? Get cash sent to you via Paypal for sharing your opinion. Check out Survey Junkie which has a Trustpilot rating is 8.9/10. To get your free Pelican Coast sticker (there are two to choose from at this writing) click on this link. 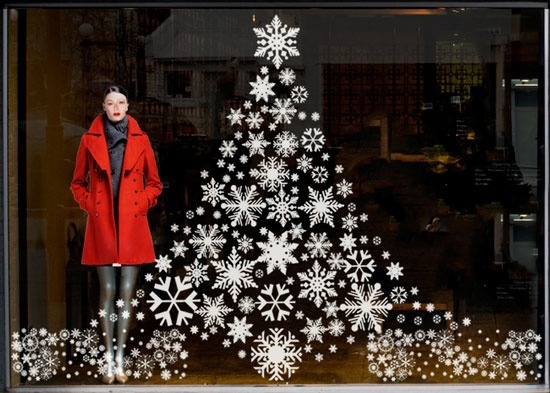 There’s lots of other shopping and saving information on the site as well. 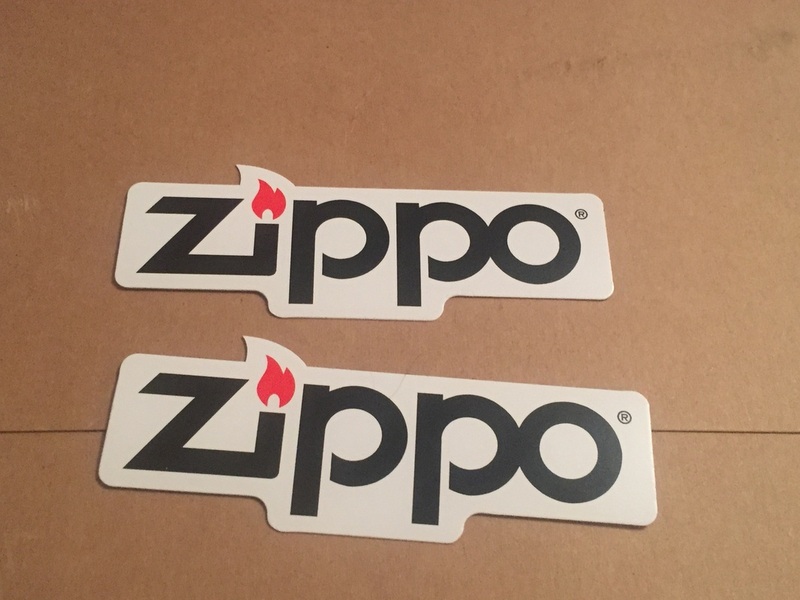 The company will give you free stickers one of two ways. 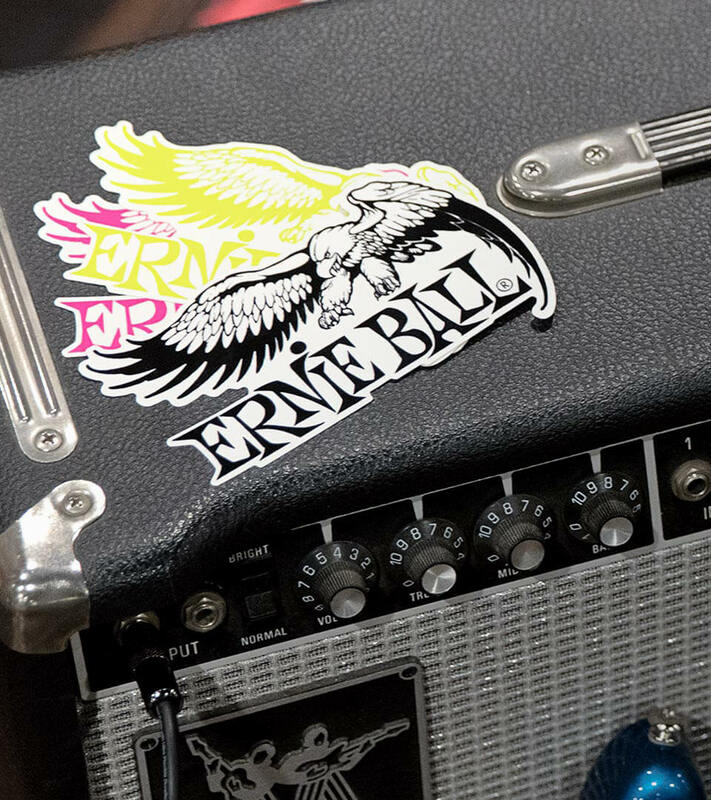 You can get free stickers by stopping at any store location. Or you can send them a self-addressed stamped envelope. So if you don’t want to make the trip to a store, they’ll mail free stickers to you. They also sell sleeping bags, travel bags, water bottles and more. If you go to the Patagonia contact page, you’ll see a list where you can request a few different items such as store catalogs and yes, free stickers. Haley and the Hound sells cute clothes for women and kids. You’ll find dresses, tops, tunics, sweaters and swimwear for women. They’ve got a plus size section too. Girls will find a selection of adorably cute dresses on the site. And they sell t-shirts that work for both boys and girls. Dakine is a sporting goods store that sells a wide variety of sports apparel. They sell items such as snowboard/skiing jackets and pants, bike shorts and jerseys, board shorts and more. The magazine shares tips for kids on how to protect wildlife, buy cruelty-free products and more. Along with the informative articles, the PETA Kids magazine also includes puzzles, quizzes, and free stickers. For your free Punisher Skateboards stickers, simply fill out a form on their website. If you’re interested in shopping there, they sell a nice mix of casual and dress items. It includes casual dress shirts, baseball caps and performance hoodies. They also sell wine. Yes, I said wine. Interesting combination of things, I know, but honestly, it’s a really cool site. Over Under is a cool site that primarily sells men’s clothing and accessories. However, I did find one woman’s leather tote bag on the site. They also had some youth-sized t-shirts, and stuff for your dog too. Free Stuff.com was another one of those sites where I had to work a bit to find their information on free stickers. But there ended up being quite a few links on the site for them. If you like stickers for whatever reason, here are some companies that will send you free stickers. All you have to do is meet their requirements on how to get them. Bonus: they spend a portion of each purchase on conservation efforts in the wild. 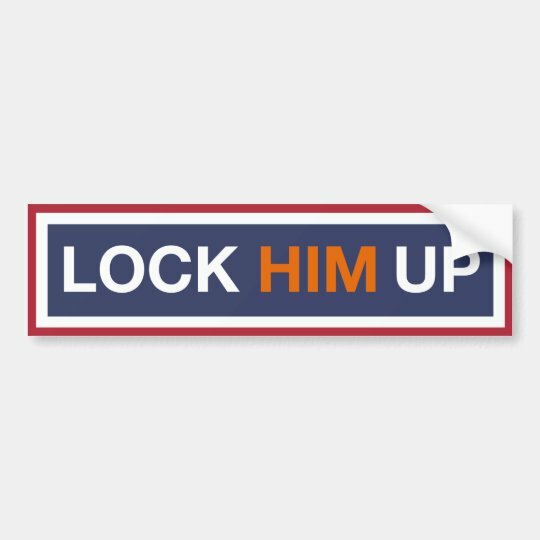 To get your free stickers, just subscribe to their email list here. To get your free Dakine stickers, just send a self-addressed stamped envelope to the address below. Medi-Badge is a company that sells stickers, lollipops and other goodies that businesses might use. I can see their stickers being used in dental offices, doctor’s offices, or by teachers or dance instructors.